We started by reading a non-fiction book about snow. We discussed what snow is made out of, where we find snow, and at what time of year we see it. I purchased two of the kits shown in the picture. I wanted to make sure that we had enough of the “snow” for each child to enjoy. 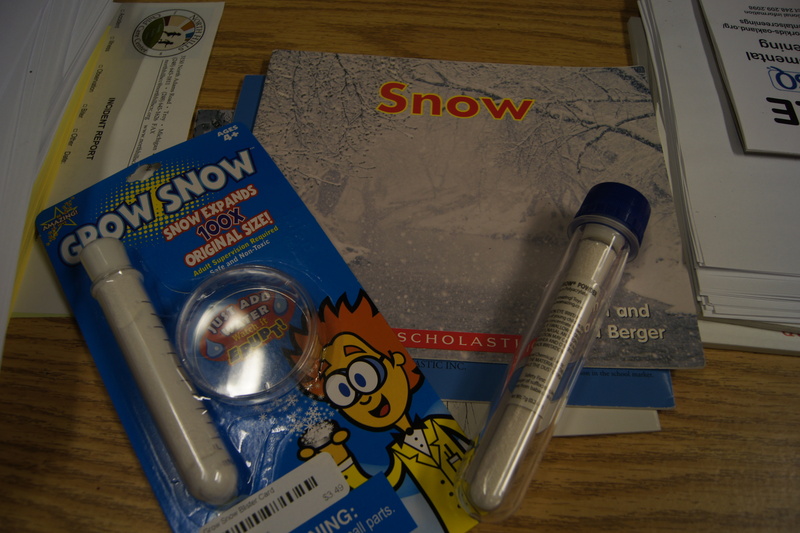 Each kit includes a test-tube full of the magic snow. Here is the one that I bought, however, it was much cheaper at a local toy store. 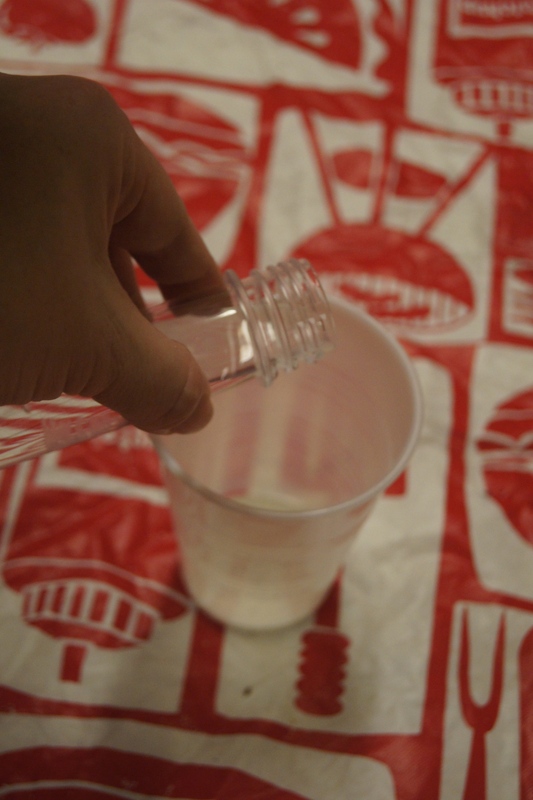 The magic powder is a polymer that when water is added, it expands into a snow-like substance. This was the first time that I have used a test-tube with this group. 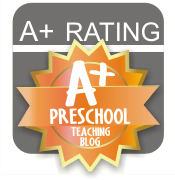 I first talked about how scientists use test-tubes. Then I placed a cup in the middle of the table so all of the kids could see it. I added a test-tube fill of water into a capful of magic powder. Within seconds, the powder almost doubled in size and became powdery and looked just like snow. The kids just had to feel it! The powder is safe and non-toxic. Each child received their own cup and measured and mixed their own magic snow. 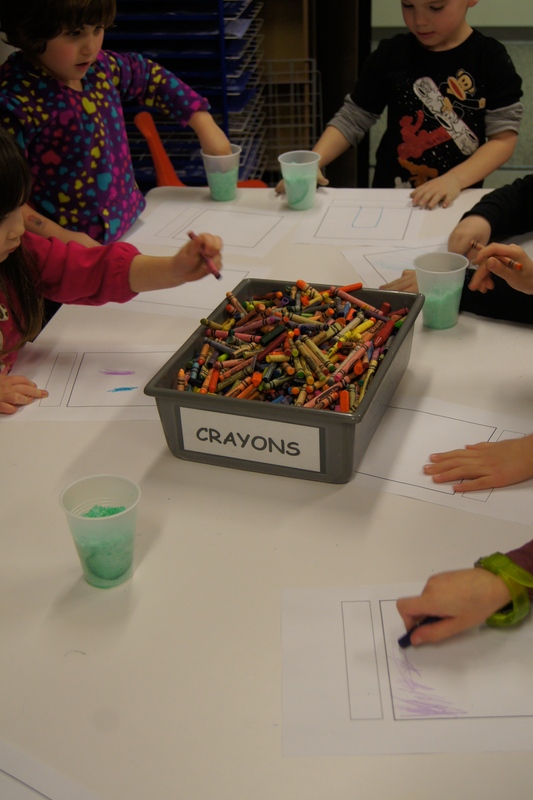 Of course, we had to see what would happen if we added colored water. We also had to find out what happened if we added a TON of water. 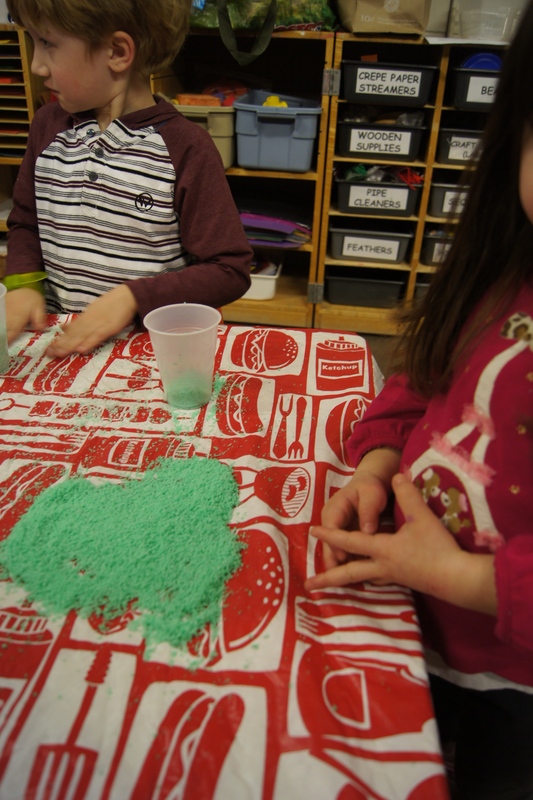 The kids had so much fun exploring their “snow.” They laid it out on the table (make sure to have protection for your table!!). When finished, the scientists recorded their experiences in their Science Journals. Of course, most of the scientists wanted to take their cup home. They should be able to use it again and again. I put each cup in a baggie and attached a note that this is a VERY messy project. This was a really fun experiment! The “snow” really felt like snow, but without all of the cold. 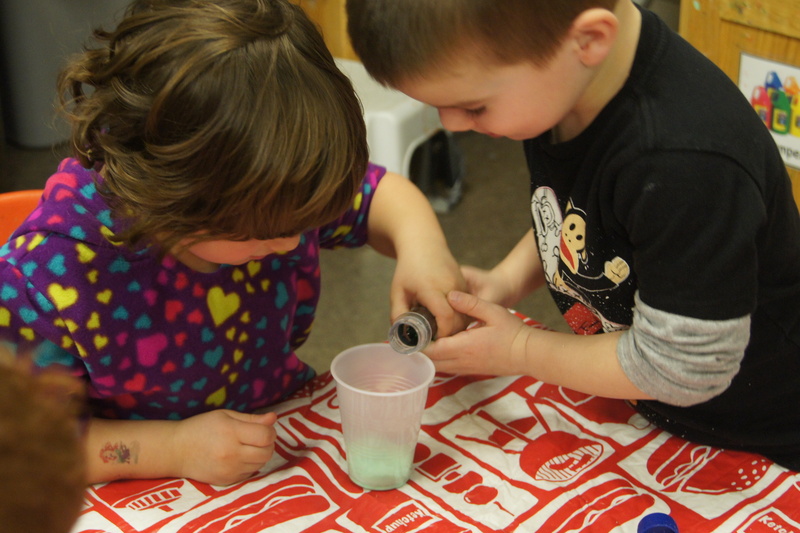 The kids could measure and create their own chemical reaction like grown-up scientists! If you do this project, make sure that you will easily be able to clean the surface that you are working on. When the “snow” drifts to a different surface, it can become sticky and difficult to clean up. With the table cloth, it was really easy to clean up.